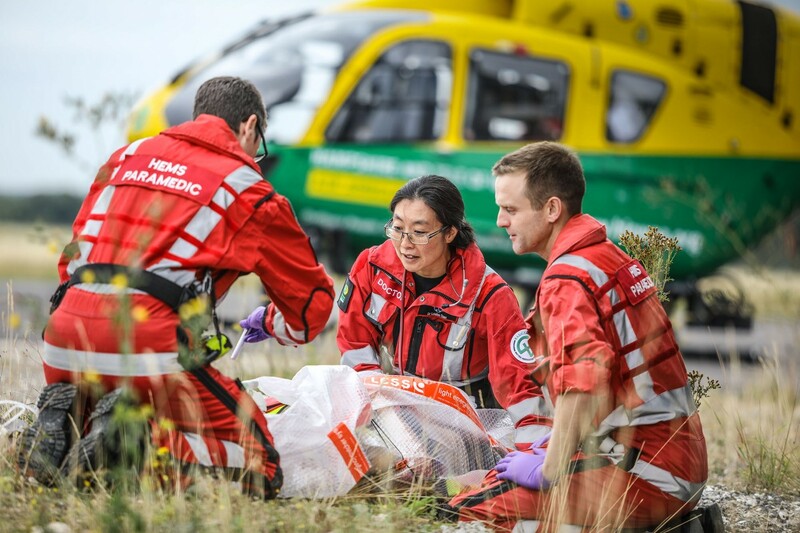 HIOWAA is the charity that delivers an advanced Critical Care Team to sick and injured people in Hampshire and the Isle of Wight when they need it most. Available both day and night, 365 days a year, the Air Ambulance Critical Care Team is called out many times a day to attend road traffic collisions, sporting accidents, collapses and many other incidents. What is a Critical Care Team? Our Critical Care Teams are made up of Specialist Critical Care Paramedics, HEMS Doctors and Pilots. Our highly skilled Teams are equipped with state-of-the-art technology and advanced medication. They can be at the scene of an incident within minutes, ready to deliver the same level of care that you would expect from a hospital emergency department. The Air Ambulance and charity Critical Care Team Vehicles are operational 7 days a week and attend an average of 6 missions per day, many of them life-saving. We operate from 7am until 2am, 365 days a year. The Air Ambulance can be anywhere in Hampshire within 15 minutes and anywhere on the Isle of Wight within 20 minutes. We also work with our neighbouring Air Ambulance charities and can assist them, when required. It costs approximately £15,000 a day to keep our vital service operational. Many people do not realise we are a charity. Whilst we work in partnership with University Hospital Southampton and South Central Ambulance Service, who are funded by the NHS, we rely entirely on donations from the community to carry out our life-saving service.